Each time you visit our Pharmacy and purchase a product, or one of your physicians’ contacts us concerning your prescription needs or history, a record is made of this encounter. Typically, this record contains medical information from your referring physician, a prescription history, as well as other information you provide to us. In this “Notice of Health Information Practices,” we shall refer to the information contained in your record as your “health information,” which term shall have the same meaning as “protected health information,” defined in the Health Insurance Portability and Accountability Act of 1996, as amended (“HIPAA”). You may exercise any of the above rights by submitting a written signed letter, detailing your request and mailing or delivering the letter to our Pharmacy. However, we encourage you to call first so that we can help you be as specific as possible with your request. We will promptly provide you with any forms that need to be completed to process your request. Accommodate reasonable requests you may have to communicate your health information by alternative means or at alternative locations. We reserve the right to change our privacy practices and to make the new provisions effective for all of your health information we already have, as well as any health information we receive or create in the future. Should our privacy practices change, we will post a copy of the revised Notice in our Pharmacy, which indicates the effective date of the amended Notice. You may request and obtain a copy of our Notice of Privacy Practices anytime you visit our office. If a use or disclosure of your health information is not permitted under law without a written authorization, we will not use or disclose your health information without that written authorization. You may at any time revoke a written authorization in writing, except to the extent that we have already taken action in reliance of your authorization. 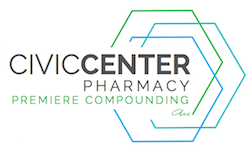 If you believe that we have violated any of your privacy rights, you may file a written complaint with any of our Pharmacists, or mail your written complaint to 7331 E OsbornDr., Ste 208., Scottsdale, AZ 85251. You may also file your complaint with the Secretary of Health and Human Services. There will be no penalty or retaliation for filing a complaint. Health information obtained by our staff from you or one of your health care providers may be recorded in our medical records. We may use this information for many treatment reasons, including, but not limited to, verifying the accuracy of prescriptions being filled, and to help you avoid known drug allergies and adverse drug interactions. Any of your prescriptions filled in our Pharmacy, or purchases made at our Pharmacy, will be recorded. We may also provide your health information to other health care providers involved in your care to assist them on providing services to you. Your health plan or health insurer may require certain information about your condition and/or the prescriptions you fill with us, before payment will be made, or for pre-authorization purposes. Accordingly, for billing purposes, we may disclose your health information to your health plan or health insurer. Members of our staff may review health information in your record in order to assess the care and outcomes in your case and others like it. This information will then be used in an effort to continually improve the quality and effectiveness of our services. Business Associates: Certain of our business operations may be performed by other businesses. We refer to these companies as “business associates.” In order for these business associates to perform the required service (billing, accounting services, etc. ), we may need to disclose your health information to them so that they can perform the job we’ve asked them to do. To protect you, we require our business associates to appropriately safeguard your health information. Communication with Persons Involved in Your Care: We may disclose your health information that is directly relevant to your care to individuals you wish to receive such information, including family members, relatives, close personal friends, or other persons you identify. Before we do so, we will ask you, and follow your instructions, as to whether or not to make such disclosures. If you are incapacitated, or involved in an emergency, we may use or make disclosures of your health information that we believe in our professional judgment are in your best interests, but only to the extent that such health information is directly relevant to the recipients’ involvement in your care. Required bv Law: We may use or disclose your health information to the extent such use or disclosure is required by law and is limited to the relevant requirements of such law. Public Health, Health Oversight and the Food and Drug Administration (FDA): As required by law, we may disclose your health information to public health or legal authorities charged with preventing or controlling disease, injury, or disability. We may also be required by law to disclose your health information to health oversight agencies responsible for regulating the health care system, government benefit programs, and civil rights laws so that they may conduct, among other things, audits, investigations, and inspections. For the purpose of activities relating to the quality, safety or effectiveness of a FDA-regulated product or activity, we may disclose to the FDA your health information relating to adverse events with drugs, supplements, and other products, as well as information needed to enable product recalls, repairs, or replacements. Victims of Abuse. Neglect or Domestic Violence: If we reasonably believe that you are the victim of abuse, neglect or domestic violence, we may disclose your health information to a governmental authority responsible for receiving these types of reports, to the extent the disclosure is required by law, or you agree to the disclosure. If the disclosure is authorized by law, but not required, we may disclose your information if we determine that disclosure is necessary to prevent serious harm to you or others. Judicial and Administrative Proceedings: If you are involved in a judicial or administrative proceeding, we may, in response to an order of a court or administrative tribunal, or in response to a subpoena, discovery request, or other lawful process, disclose the specific portions of your health information that are requested. If the subpoena, discovery request or other lawful process is not accompanied by a court or administrative tribunal order, we may disclose your health information only after we are assured that reasonable efforts have been made to notify you of the request, and the time for you to raise objections to the request has expired, or reasonable efforts have been made by the requestor to seek a protective order concerning the requested health information. Law Enforcement: We may disclose your health information to a law enforcement official for law enforcement purposes as required by law, a court ordered subpoena or summons, a grand jury subpoena or summons, or an administrative subpoena or summons, under certain circumstances. In specific situations, the law also permits us to disclose limited pieces of your health information, when the information is needed by law enforcement officials to: 1) identify a suspect, fugitive, material witness, or missing person; 2) identify a victim of a crime; 3) alert law enforcement officials concerning your death; 4) notify law enforcement officials when a crime has been committed on our premises; or 5) in an emergency, when necessary to alert law enforcement officials about a crime, its location, or the identity of a perpetrator. Coroners, Medical Examiners and Funeral Directors: We may disclose your health information to a coroner or medical examiner for the purpose of identifying you upon your passing, or to determine a cause of death. We may also disclose your health information to your funeral director if needed to complete his or her authorized duties. Organ, Eye or Tissue Donation: If you are an organ, eye or tissue donor, we may release your health information to organizations that procure, bank or transplant organs for the purpose of facilitating organ, eye or tissue donation and transplantation. Research: We may disclose your health information to researchers when their research has been approved by an institutional review board or privacy board that has reviewed the research proposal and established protocols to ensure the privacy of your health information, thereby meeting the requirements under HIPAA. We may also disclose your health information for the purposes of research, public health or health care operations pursuant to a Data Use Agreement protecting that information as specified by HIPAA. Avert a Serious Threat to Health or Safety: Consistent with applicable law and standards of ethical conduct, we may, in limited circumstances, use or disclose your health information if we, in good faith, believe such use or disclosure is necessary to prevent or lessen a serious and imminent threat to health or safety of a person or the public. National Security and Presidential Protective Services: We may disclose your health information to authorized federal officials for the conduct of lawful intelligence and national security activities, as well as the provision of protective services to the President and other protected individuals. Inmates and Individuals in Custody: If you are an inmate or otherwise in custody, we may disclose your health information to the correctional facility or law enforcement official having lawful custody of you. Workers’ Compensation: We may disclose your health information to the extent authorized and necessary to comply with laws relating to workers’ compensation or other similar programs established by law.